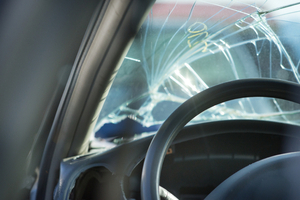 Can You be Negligent in a Car Accident and Still Sue? In a negligent car accident lawsuit, the person who is being sued is not always the at-fault party. If you were injured in part due to your own negligence, referred to as contributory negligence, you may still be able to sue the other party. Contributory negligence occurs if you are even slightly negligent and responsible for some of your injuries. For example, in your car accident, most of the accident was caused by the other party, but because you were speeding at the time of the accident (whether you caused it or not) you contributed to the intensity of your injuries. It does not matter if you were only one percent negligible or 50 percent. If you had any role in your injury, contributory negligence applies. More courts are moving to the comparative negligence rule versus the contributory negligence. In comparative negligence, you can still be negligent and recover compensation for the injuries caused by the other party. Pure Comparative Negligence – You can still recover a portion of damages for your injury based on the amount of damage the other party caused. Even if you were more at fault than the defendant in the case, you can recover injury costs. Modified – In this rule, you are only awarded the amount for which the defendant was determined at fault. Slight Gross – If you are slightly negligent for your own injuries, then you can use slight-gross comparative negligence. You not wearing a seatbelt at the time of the accident. You were speeding – this causing more injury than you would have if you were following the rules of the road. You were talking and/or using your cellphone or texting. While you may be able to recover some damages for your injuries, only an attorney can help you determine if your claim is worth pursuing. Contributory and comparative negligence cases are highly complex and difficult to prove; therefore, it is best to consult an attorney first. Leifer Law Firm can assist you with your case during a free consultation. Call us today at 561-395-8055 now.